To perform maintenance, the prioritization of sectors on power distribution networks still has been a challenge for managers and maintenance engineers. It should consider relevant aspects of the sectors, such as population density, the number of hospitals, and the number of schools, among others. 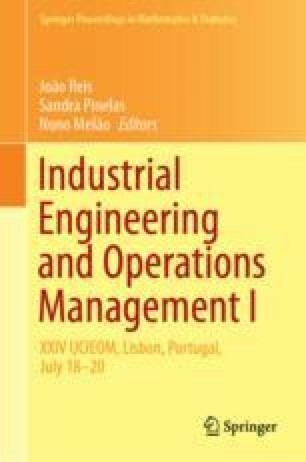 In order to guarantee facilities reliability, this paper presents a proposal for this problematic by developing a Load Areas-sorting methodology to improve maintenance decisions on power distribution networks. It uses multi-criteria approach; characterizing criteria and weights. The initial phase of the methodology was concerned with defining of relevant operational criteria, suggested by the literature, as well as admitting new criteria that the decision makers may be deemed necessary in each scenario. The main objective was the obtaining comparison parameters to determine critical Load Areas by the occurrence of failures and allocate these areas in priority classes. An application was performed by collecting data from an electric power company in Brazil. For this application, the classes suggested were: High, Medium, and Low priority. Thus, each Load Area was allocated in a priority status regarding its importance to the company and community. The multi-criteria method used in this phase was ELECTRE TRI. With this development, it was possible to know the most critical area equalizing the decision maker’s view and operational indicators. Thus, the maintenance developments can be updated with this methodology, providing sustainability in electricity distribution by adjusted maintenance actions. This work is part of a research program sponsored by Coordination of Improvement of Higher Level Personnel (CAPES) and Brazilian Research Council (CNPq).